When working to achieve a goal as large as feeding one million hungry children in 2018, it’s natural to begin working together across teams and organizations. However, you may also come across instances of fierce, yet friendly, competition. The One Initiative experienced this during a recent food drive at C.R. England. 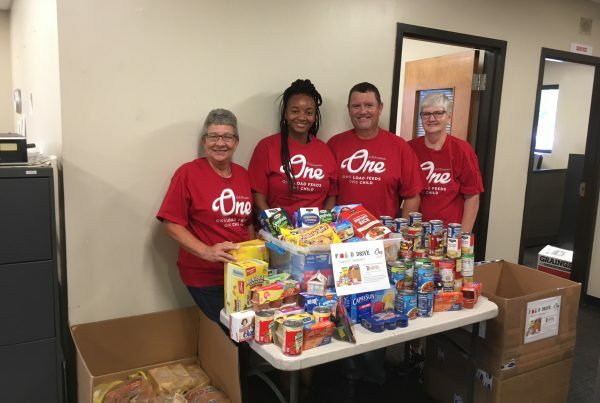 When a local company decided to join the fight against childhood hunger with the One Initiative, they opted to spice it up by issuing a food drive challenge to C.R. England. 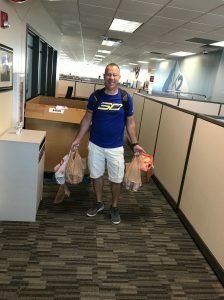 Both companies got to work with a shared goal of donating as much food and monetary donations to the Utah Food Bank as possible. The local competition set out with a goal of 9,700 lbs., but upped the ante to 48,000 lbs. when they heard word of C.R. England’s fierce competition. The C.R. 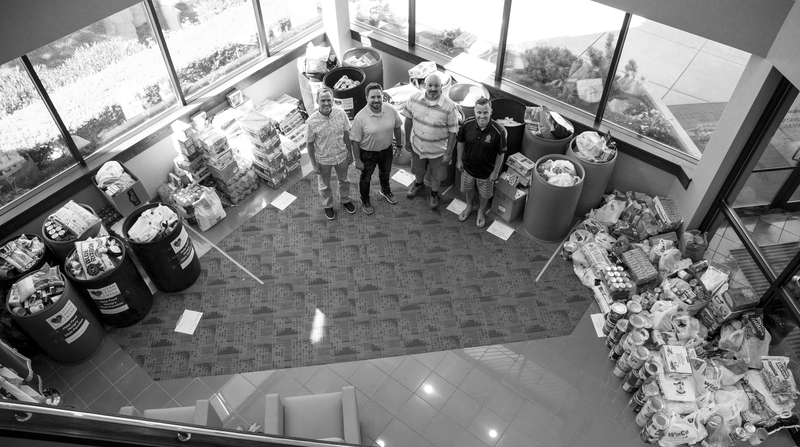 England Cares Team wasted no time rallying employees to begin donating canned goods. Over 500 employees took on the challenge, with a goal to raise 24 lbs. of food per employee. 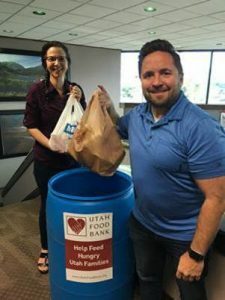 To increase the donation amount, employees were also invited to purchase dress down days in exchange for a donation to the Utah Food Bank. After a fierce campaign, C.R. 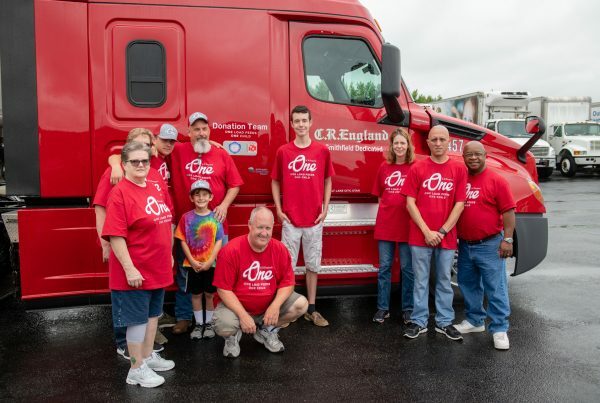 England beat the local competition by raising 68,000 lbs. vs. the opponent’s 48,000 lbs. That breaks down to 106 lbs. per employee, 82 lbs. over C.R. England’s goal! Through this event, the team set a new summer record for the most dollars and pounds of food collected at the Utah Food Bank. Although C.R. England enjoyed the win with a company-wide celebration, children throughout the nation will benefit from the effort on both sides. This isn’t the end of C.R. England’s efforts against childhood hunger. The team has another food drive planned for the holiday season. They also hope to make this competition an annual event, with an open call to companies everywhere. 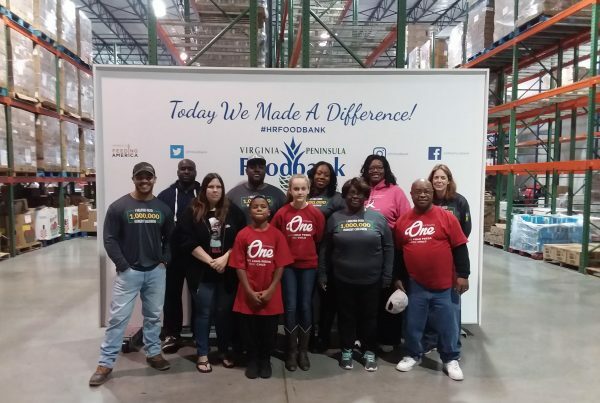 With food bank partners throughout the country, it’s easy to get involved no matter where you are. Visit oneagainstchildhoodhunger.com/donate to make your contribution to the One Initiative.